Lawmakers’ cringeworthy questioning of Facebook’s Mark Zuckerberg calls into question the government’s ability to regulate social media. With the testimony on Capitol Hill last week by Facebook CEO Mark Zuckerberg, there’s heightened concern about the negative side effects of social media platforms. But in listening to lawmakers questioning Zuckerberg, it became painfully obvious that our Federal legislators have next to no understanding of the role of advertising in social media – or even how social media works in its most basic form. 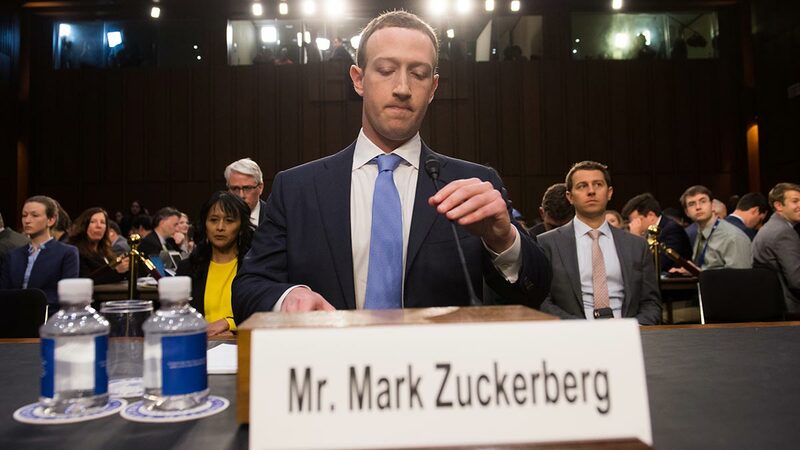 Younger staff members may have written the questions for their legislative bosses, but it was clear that the lawmakers were ill-equipped to handle Zuckerberg’s alternatively pat, platitudinous and evasive responses and to come back with meaningful follow-up questions. Even the younger senators and congresspeople didn’t acquit themselves well. It made me think of something else, too. The questioners – and nearly everyone else, it seems – are missing this fundamental point about social media: Facebook and other social media platforms aren’t much different from old-fashioned print media, commercial radio and TV/cable in that that they all generate the vast bulk of their earnings from advertising. It’s true that in addition to advertising revenues, print publications usually charge subscribers for paper copies of their publications. In the past, this was because 1) they could … but 2) also to help defray the cost of paper, ink, printing and physical distribution of their product to news outlets or directly to homes. Commercial radio and TV haven’t had those costs, but neither did they have a practical way of charging their audiences for broadcasts – at least not until cable and satellite came along – and so they made their product available to their audiences at no charge. The big difference between social media platforms and traditional media is that social platforms can do something that the marketers of old could only dream about: target their advertising based on personally identifiable demographics. Think about it: Not so many years ago, the only demographics available to marketers came from census publications, which by law cannot reveal any personally identifiable information. Moreover, the U.S. census is taken only every ten years, so the data ages pretty quickly. Beyond census information, advertisers using print media could rely on audit reports from ABC and BPA. If it was a business-to-business publication, some demographic data was available based on subscriber-provided information (freely provided in exchange for receiving those magazines free of charge). But in the case of consumer publications, the audit information wouldn’t give an advertiser anything beyond the number of copies printed and sold, and (sometimes) a geographic breakdown of where mail subscribers lived. Advertisers using radio or TV media had to rely on researchers like Nielsen — but that research surveyed only a small sample of the audience. What this meant was that the only way advertisers could “move the needle” in a market was to spend scads of cash on broadcasting their messages to the largest possible audience. As a connecting mechanism, this is hugely inefficient. The value proposition that Zuckerberg’s Facebook and other social media platforms provide is the ability to connect advertisers with more people for less spend, due to these platforms’ abilities to use personally identifiable demographics for targeting the advertisements. Want to find people who enjoy doing DIY projects but who live just in areas where your company has local distribution of your products? Through Facebook, you can narrow-cast your reach by targeting consumers involved with particular activities and interests in addition to geography, age, gender, or whatever other characteristics you might wish to use as filters. That’s massively more efficient and effective than relying on something like median household income within a zip code or census tract. It also means that your message will be more targeted — and hence more relevant — to the people who see it. All of this is immensely more efficient for advertisers, which is why social media advertising (in addition to search advertising on Google) has taken off while other forms of advertising have plateaued or declined. But there’s a downside: Social media is being manipulated (“abused” might be the better term) by “black hats” – people who couldn’t do such things in the past using census information or Nielsen ratings or magazine audit statements. Here’s another reality: Facebook and other social media platforms have been so fixated on their value proposition that they failed to conceive of — or plan for — the behavior inspired by the evil side of humanity or those who feel no guilt about taking advantage of security vulnerabilities for financial or political gain. 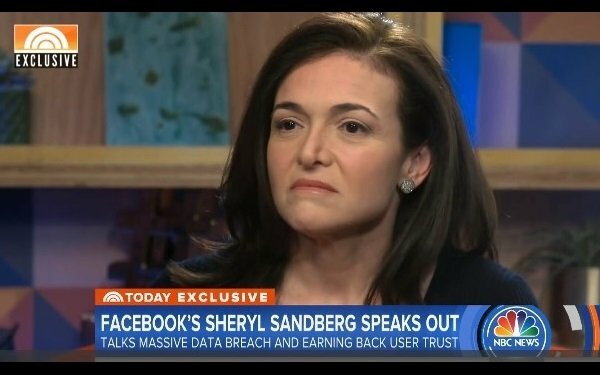 Facebook COO Sheryl Sandberg interviewed on the Today Show, April 2018. Now that that reality has begun to sink in, it’ll be interesting to see how Mark Zuckerberg and Sheryl Sandberg of Facebook — not to mention other social media business leaders — respond to the threat. They’ll need to do something — and it’ll have to be something more compelling than CEO Zuckerberg’s constant refrain at the Capitol Hill hearings (“I’ll have my team look into that.”) or COO Sandberg’s litany (“I’m glad you asked that question, because it’s an important one.”) on her parade of TV/cable interviews. The share price of these companies’ stock will continue to pummeled until investors understand what changes are going to be made that will actually achieve concrete results. ← Comfortable in our own skin: Consumers embrace biometrics for identification and authentication purposes. Oddly enough, I suspect scrolling may lie behind some of our dissatisfaction. Historically, we read a book or magazine horizontally. This allows us to know what is coming next and “plan our experience.” Vertical scrolling leaves one at sea. You literally never get to the bottom of Facebook. Nor do you ever have a sense as you scroll of how far along you are in keeping up with it. It’s hard to find your place and go back to something. Endless up and down scrolling follows with frustration. In that sort of mood, being hit on for advertising makes one see red and feel used. I’m glad the ads that I do see usually have something to do with my desires. That’s not a complaint. Tailored ads are fine. It’s Facebook which isn’t fine! Smartphones, meanwhile, are getting narrower and longer, making the problem even worse.